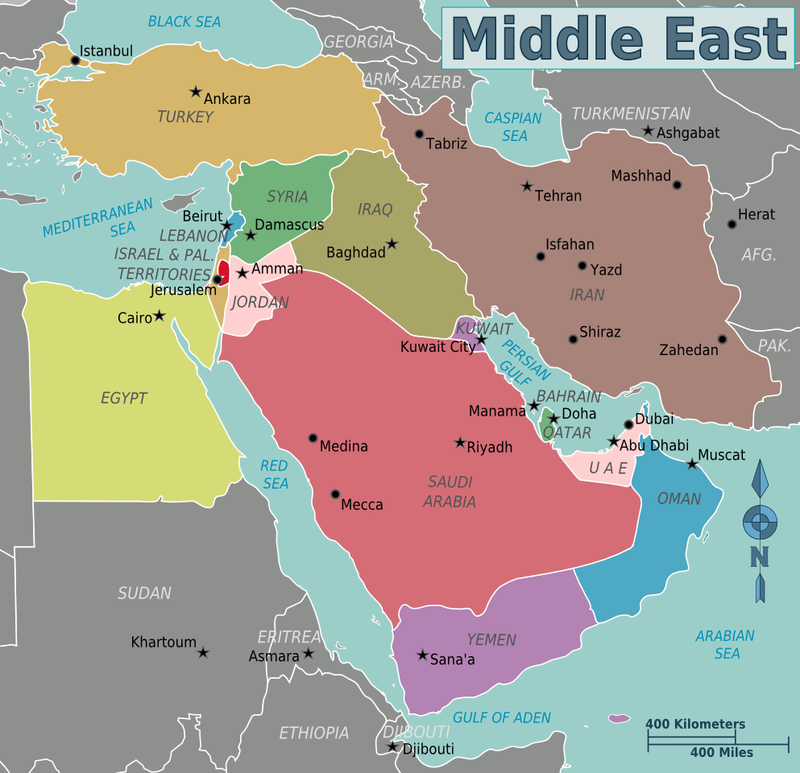 What do you mean when you say “The Middle East”? Turkey, while mostly in Asia, is partially in Europe (Istanbul is split between the two continents – the only city in the world, in fact, to have this distinction!). Therefore, some definitions of “The Middle East” do not include Turkey. 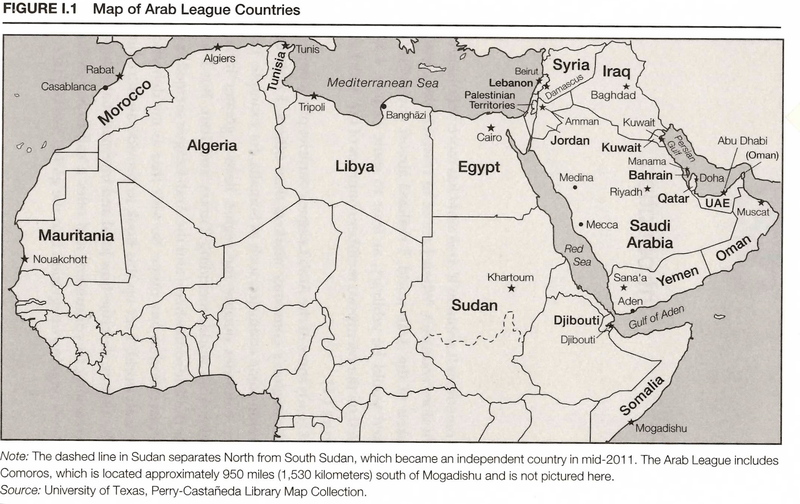 The Middle East and North Africa (MENA) would be the map above, excluding Mauritania, Sudan, Djibouti and Somalia. The term “Arab” denotes an ethnicity. Arabs are an ethnic group. While many Arabs are Muslims, the term has nothing to do with religion at all. Islam is the name of one of the world’s major religions. Like Christianity and Judaism, it is classified as an Abrahamic religion. These are monotheistic faiths of Middle Eastern origin that can trace their beginnings back to Abraham. Over 50% of the world’s population considers themselves to be adherents of an Abrahamic faith. Did you have to wear a burqa when you were in the Middle East? 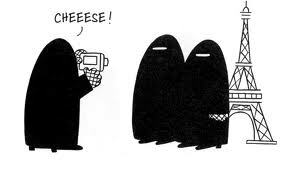 I have never in my life ever worn a burqa, nor would I ever, given the opportunity. What is a burqa? What is a niqab? What is an abaya? What is a hijab? These are all different forms of Islamic clothing for women, ranging from most to least conservative. 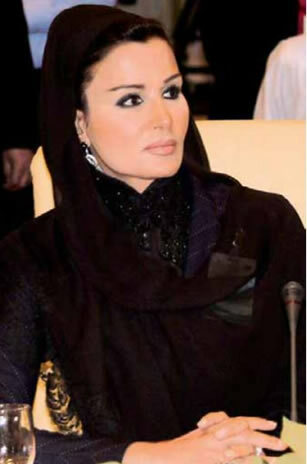 This is Sheikha al-Mayassa of Qatar, giving her TED Talk in an abaya (the clothing) and a hijab (the headscarf). While abayas are almost always worn with hijabs (headscarves), they are two separate entities. While most abayas are black, women can still reflect their personal styles with different levels of detailing. As you can see, hijabs come in a million different varieties and also reflect a woman’s personal style. 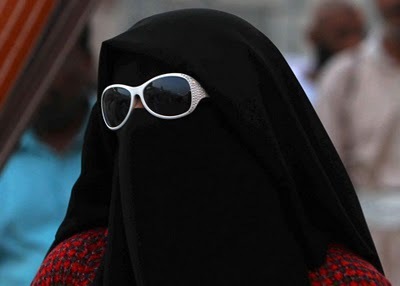 Not every Muslim woman will wear the burqa, niqab, or abaya. In fact, many of them do not, many wear conservative clothing that covers most of their skin, and a hijab. Some do not wear a hijab at all. It is really a matter of culture and personal preference. Also, women throughout the Islamic World wrap their hijabs differently, according to where they live. Turkish women will wear it completely different from Jordanians from Malaysians from Qataris. Have you ever experienced anti-Americanism in the Middle East? To be honest, no, I never have. Usually when I tell people that I am American they are really surprised and happy. People typically have a lot of questions for me (why are you here? do you like it here? how do you know Arabic? ), and I oftentimes get invited in for tea. If you don’t know the answer to this question, you really need to take a second to study this image. Israel is the number one recipient of US foreign aid, and when I get asked by people in the Middle East “Why do Americans not know where Israel is on a map?” I don’t really have an answer. So, help me out. Where have you been in the Middle East? I have lived in Ankara, Turkey, Fez, Morocco, Irbid, Jordan, and Beirut, Lebanon. I have traveled widely throughout these countries, and have also been to: Tunisia, Egypt, Israel, the West Bank, and Dubai. Any other questions that I can answer? Please send them to me!! point? I surprised with the research you made to create this particular submit extraordinary.